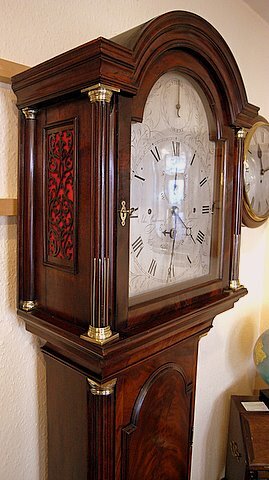 A top quality late 18th century flame mahogany musical longcase. 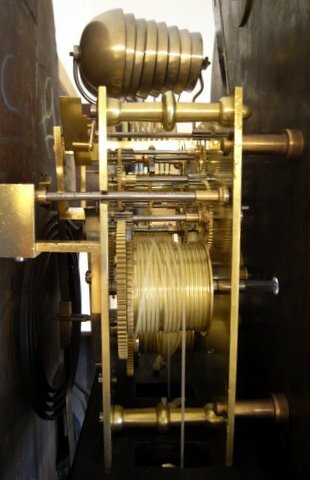 Eight day movement quarter-chiming on eight bells with an hour gong strike. Height 86". 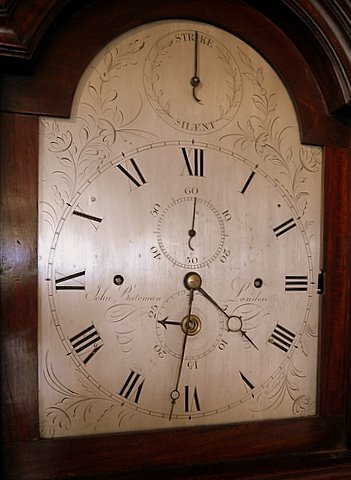 Silver dial inscribed John Bateman, London.